Biopic on legendary actor NTR is one of the eagerly awaited films this year. NTR’s son and actor Balakrishna is portraying the lead role and an array of prominent stars are playing crucial roles in this biopic which is made in two parts. 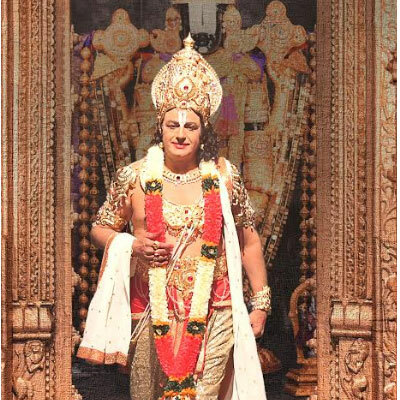 The first part, titled as NTR Kathanayakudu, will trace the inspiring journey of NTR as actor and the second part will highlight his political success. Director Krish is the man behind this prestigious project and Balakrishna donned the producer’s hat for the first time. 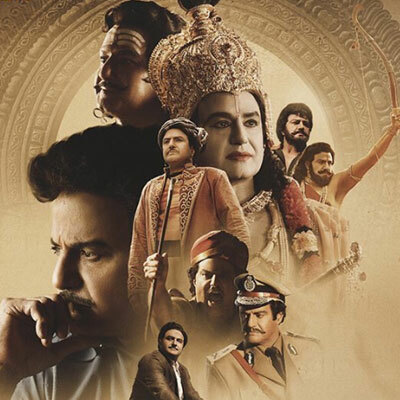 Let’s find out if the first part of NTR biopic is worth the hype and hysteria or not. The key element for any biopic is picking up the ‘right span of the life’ to narrate. ‘NTR-Kathanayakudu ‘takes off showcasing Legendary actor NTR’s first job as sub-registrar at Vijayawada, swiftly moves on to his quest for cinema roles in Madras. The film ends at announcing historical TeluguDesam party in 1982. The rise of NTR’s cinema career, circumstances forced him to think about service to society, further incidents which led to announce a political party etc. cover the scope of the film. Every bit of NTR’s life has been in public domain for decades, familiar to most of the people in Telugu states. In addition, his ‘cine career’ doesn’t have the melodramatic elements as in ‘Mahanati Savitri’ life. The whole spice elements in NTR’s life were after his political entry (which are out of scope of part-1 biopic). Given these factors, it is a challenging task to write an engaging script for NTR’s cine life. Director Krish, writer Sai Madhav still able to come up with enough tribute film – if not a great tribute. NTR – Kathanayakudu theme showcases NTR’s rise as a hero, shows incidents influenced his thoughts towards society and finally starting a political party. This 30 + years of his life (1949 to 1982) has been covered touch basing his good qualities – leaving controversial ones aside. Director has been refrained from over-the-top scenes, cinematic elevations and showcased true episodes mostly! NTR – ANR scenes throughout the film are very nice, it’s been depicted both of them have very friendly relation in cinema life. Krish has cleverly inserted few scenes to answer criticism on NTR. At some point, they even mention the stiff competition coming from Young heroes Krishna, Shobhanbabu likes against aging NTR. Also, criticism like ‘60 years old NTR dancing with 16 years aged sridevi etc young heroines ‘, has also been addressed in lighter vien. All in all, this film is a good Déjà vu experience through the life of Legend for his fans and sympathisers. Also, this film may appeal for those who doesn’t know much about NTR’s cine life. However, current generation youth may complain the film is flat and/or slow, that is due to director Krish did not try to inject cinematic elevations. Overall, Nandamuri Balakrishna, Krish and whole team must be appreciated for this gutsy attempt and for not being distortive of facts. First of the film is slow but decent, second half of the film will be completely liked by fans and common audience. 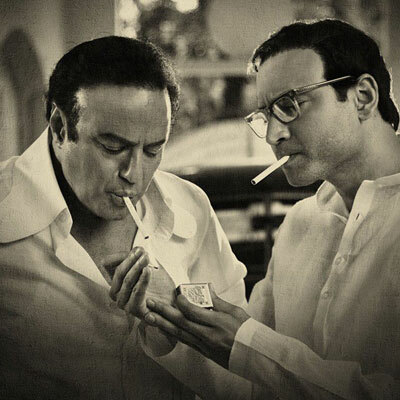 NTR-Kathanayakudu is a good tribute to legend’s cine life. It is a rarest occasion and memorable journey for NTR fans of all ages, a decent watch for others as well. Go and Watch this sincere attempt!